"Strands of light flare through the atmosphere when DROMEDARIES play, it's true; the experience is a prismatic adventure, where both cool, soothing blue notes and hot, solar bursts emananting from Keir Neuringer's electrifying alto saxophone rise over Shayna Dulberger's lurching, moonlit wanderings on the upright bass. 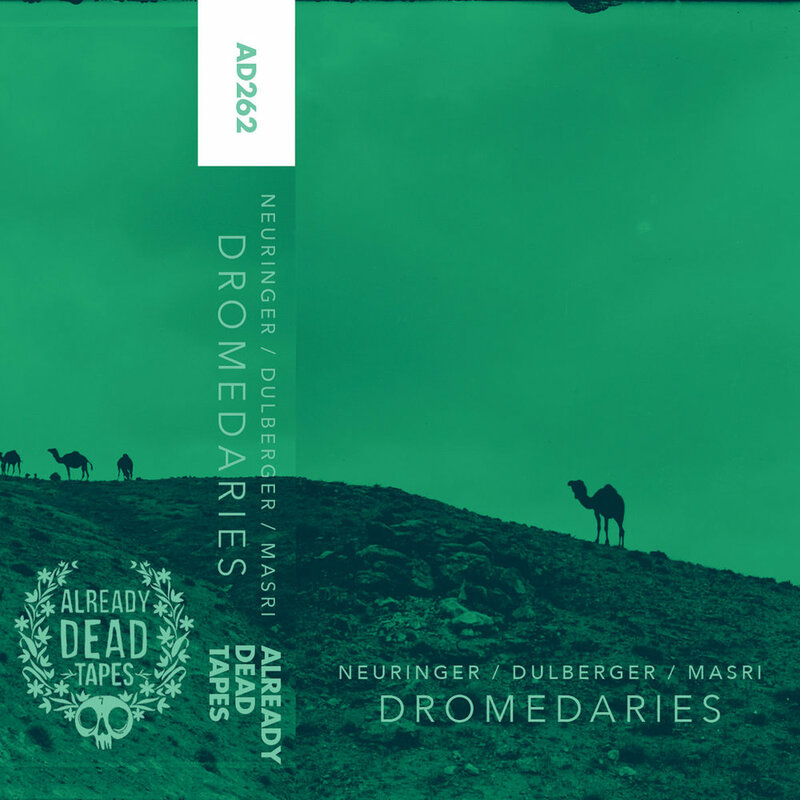 Once Julius Masri's chaotic, obsessed clatter that rains down like boulders on rusting tin—drums finds its way through to the listener, there's barely a lung in the building left with any breath. Still, the trio, who vacillate as both veterans of the ash-laden dystopia of the underground noise-n-blast beats scene as well as prodigy under the micro-focused tutelage of international jazz masters, want to do more than just give way to unseen, propulsive cosmic forces that only inspire face melting and/or staid stage gawking. No, they're good on that. As Dromedaries, the trio seeks to exhaust themselves as well, hurling their bodies at and through their instruments in fits of physicality that speak to their music's measured rage and its transcendent exploration of love.